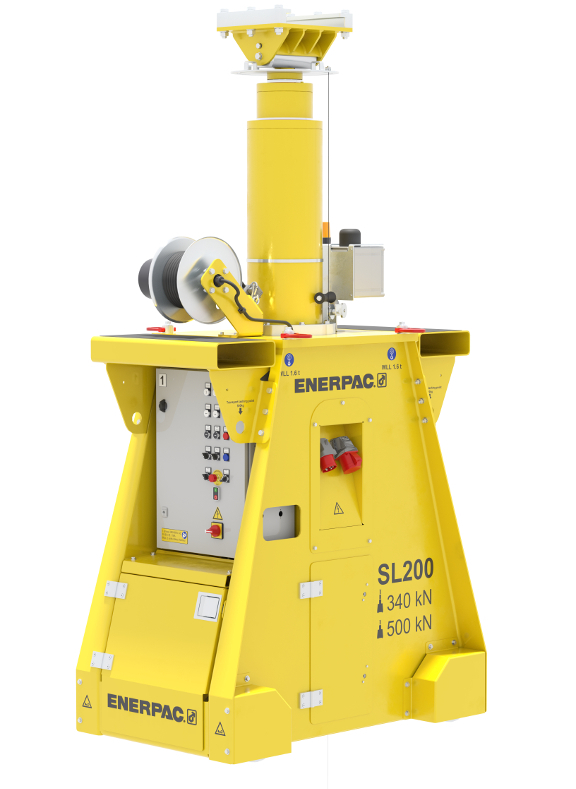 Enerpac, an international market leader in high-pressure hydraulics, has announced the latest addition to its hydraulic gantry product line. 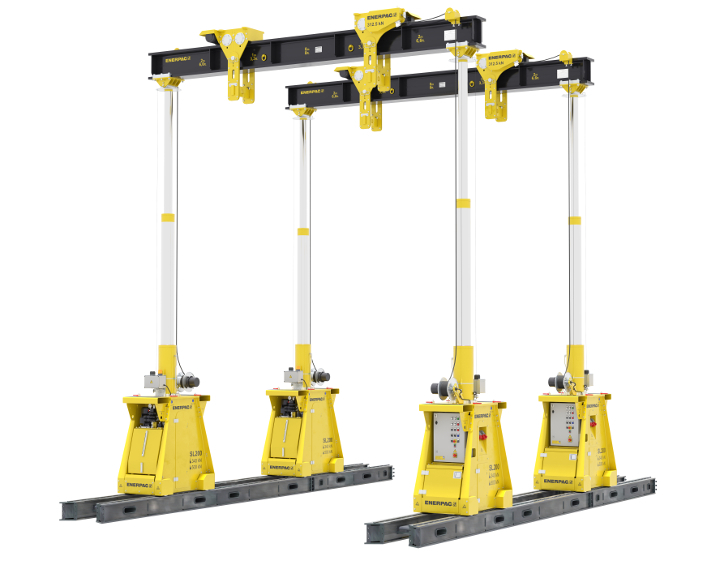 The new SL100 and SL200 Super Lift hydraulic gantries offer higher lifting capacities and accurate load positioning from 100 to 200 ton on a narrow 610mm track gauge. The ideal solution for machinery & industrial moving specialists, the SL100 and SL200 have lift capacities ranging from 100 to 200 ton respectively, and feature two stage lift cylinders with a maximum lifting height up to 4.75m / 15ft (SL100) and 6.7m / 22ft (SL200). Typical industrial moves applications include: transportation and installation of presses, machine tools, electrical transformers and injection moulding machines. Designed for safe lifting in confined or limited-access spaces, the new SL gantries are easy to mobilise and demobilise and include self-contained hydraulics allowing quicker and safer deployment. Each gantry leg features self-propelled wheels for travel along the narrow gauge track together with an Intellilift synchronised control system, providing wireless control, unrestricted operator position, and automatic synchronisation for lifting/lowering and traveling. Following major investment over the past 12 months at Enerpac Heavy Lifting Technology’s Hengelo site in the Netherlands, leading to a significant reduction in delivery times and enabling manufacture for stock, the Super Lift hydraulic gantries range are typically available from stock.